The previous generation Ford Fiesta is still an excellent choice of small car today, despite a replacement model going on sale last year. This era of Ford Fiesta was the best-selling car in Britain for years, even when it was nine years old. British people were still buying the Fiesta in bulk because of its ability to cater for most situations, and its charisma. It comes with a large range of efficient engines, various equipment levels, plenty of optional extras, plus, it was reasonably priced as a new car and is still reasonably priced as a used one, with prices starting at £5,727 and monthly finance costs from £101. The Fiesta is also an engaging and fun car to drive, and makes you smile a lot more than a similarly specified Volkswagen Polo or Skoda Fabia. It leans very little in the corners, which means it feels stable and agile, plus it has quick steering, making it dart in and out of tight streets with aplomb. And if you thud into a pothole on a UK street, the Fiesta absorbs the impact with composure, and won’t send you juddering off into a different direction. This makes it comfortable over rough roads and long motorway journeys, even though the Polo and Fabia are a little ahead in that respect. Few rivals can match the fun feel of the Fiesta: the Mazda 2 runs it close, as does the Mini Hatchback, but neither offer the same value-for-money as the small Ford. Thanks to its popularity as a new car, there are vast numbers of used Fiestas to choose from at affordable prices, so you should be able to find one with the specification you're looking for. If driving fun is low down your priorities, then the Ford is a little less impressive. The Fiesta's dimensions mean that it's certainly not the best supermini if you need room inside. The back seats offer little room for taller adults to stretch their legs out compared with alternative options, and it's particularly claustrophobic if you opt for the three-door car, without any rear doors. There's much more space in a Vauxhall Corsa, Skoda Fabia, Kia Rio, or Citroen C3 and the Fiesta's 290-litre boot is no better than average. The best Ford Fiestas started production in early 2013, fitted with then-new engines, badged EcoBoost. These are small (just 1-litre) but turbocharged, which provides them with plenty of power for town and motorway driving, which is delivered smoothly and with a gentle thrum. Their official fuel economy figures are excellent - close to the level of diesels - but it's hard to get close to those in real-world driving. That's the case even if you're pressing the accelerator gently and coasting to a halt. Prices for these EcoBoost cars start at £6,290 or £113 per month. Cheaper petrol engines, extremely frugal diesels, the option of an automatic gearbox and a choice of three or five-door body styles ensure there’s a Fiesta to suit almost every need. Most cars sold since 2013 have been updated models, with the most efficient engines and the option of automatic emergency braking, as well as a more modern design. This updated model was independently crash tested by Euro NCAP in 2012 and received a full five-star rating, which although the tests were less stringent than the ones that more modern vehicles are put through. Ford calls the most efficient versions of its cars ‘ECOnetic’. In the Fiesta, that means you get a 1.5-litre diesel engine capable of up to 83.1mpg and tax-free CO2 emissions. The 1.0-litre EcoBoost engine’s low running costs, the plentiful equipment you get with the Titanium trim and the more practical five-door body are a great combination for families. Not only is the Fiesta ST the best Fiesta for performance, it’s one of the best performance cars you can buy, full stop. Its price and running costs shouldn’t break the bank, either. Automatic gearboxes and small cars are rarely a good combination, as they can struggle to get the best out of their somewhat underpowered engines. The outdated 1.6-litre petrol does nothing to improve matters here. Only if you absolutely must have an automatic. March 2008 All-new version of Fiesta launched. You get progressively more equipment as you move up the Fiesta range, which starts at Style and moves up through Zetec, Zetec S, Titanium and Titanium X. ST is the high-performance model. Most Fiestas are manual, but you can specify a Powershift automatic gearbox with certain engines. Unless you’re on a very tight budget or do many motorway miles per year, there’s no real need to look beyond one of the excellent EcoBoost petrol engines when choosing your Fiesta. The 1.0-litre is available with 100 or 140 horsepower (hp) and the former should be more than adequate for most needs, especially given its better fuel economy. It's smooth when accelerating and quiet at steady speeds, but sounds sporty if you like to rev it hard. The cheaper, non-turbocharged petrol engines consist of a 80hp 1.0-litre and two 1.25-litres, producing 60 and 82hp. The 60hp in particular makes the Fiesta almost unbearably slow, but this does reduce insurance premiums. None of these three engines is particularly characterful or impressive and best avoided if possible. Finally, there’s a 1.6-litre engine that accompanies the automatic gearbox. It’s powerful enough, but pretty inefficient compared to the EcoBoosts. The cheapest Fiesta is the Studio trim level – or version – but it’s the cheapest for a good reason. You can only get it with a lacklustre 1.25-litre petrol engine that takes an age (nearly 17 seconds) to go from 0-62mph and equipment is pretty sparse: steel wheels, central locking, electric windows and mirrors are about it. It's generally the cheapest Fiesta to insure, though. Next up is the Style, which is pretty well equipped for a basic supermini, with LED daytime running lights, power door mirrors, air-conditioning and hill-start assistance all standard. Counting against Style is the fact that it’s not available with our recommended EcoBoost engines – you can only have the more basic 1.25-litre petrol or the 1.5-litre diesel. That’s why we think Zetec is the best starting point if you’re considering a Fiesta. As well as the better engines, it adds smart 15-inch alloy wheels, foglights, a fast-demisting heated windscreen, a digital radio, a leather steering wheel and a trip computer. Zetec S is a sporty trim level that’s only available as a three-door, with larger alloy wheels, a sport bodykit, lowered suspension, sports seats and pedals and the punchy 138bhp version of the 1.0-litre EcoBoost engine. Sitting at the top of the Fiesta range are the Titanium and Titanium X trims. They aim to bring big-car luxury and features to the supermini buyer, with kit highlights on the Titanium including classy 10-spoke alloys, rain-sensing windscreen wipers, privacy glass on the back windows, cruise control and an eight-speaker stereo. The Titanium X goes even further, with 12-spoke wheels, parking sensors, a reversing camera and part-leather seats. The ST hot hatchback, meanwhile, gets its own three trim levels, called simply ST-1, ST-2 and ST-3. But the car is so good in standard form, you don’t really need to spend more on the ST-2 or ST-3. For reliability, this Fiesta was rated a reasonably impressive 41st out of 200 cars looked at in the 2015 Auto Express Driver Power owner satisfaction survey. Its build quality score was a considerably less stellar 131st, however. But while it may not be the sturdiest car around, the Fiesta’s engines are all based on proven technology and serious mechanical or electrical problems are rare. Ford’s warranty is in line with most of its major competitors, at three years or 60,000 miles, but you get longer cover on a Toyota Yaris (five years), Hyundai i20 (five years) or a Kia Rio. As with the larger Ford Focus, the Fiesta’s huge popularity means that there are a vast number of used cars to choose from, which helps to make them particularly affordable for second-hand buyers. Regular Fiestas are worth around half of their original purchase price after three years. This presents a good opportunity to get your hands on a high-specification Titanium or Titanium X model for a very reasonable amount of money. These cars cost from £6,200 on BuyaCar. Finance starts at £112 per month.It's a different story with the sought-after high-performance Fiesta ST, which is still worth most of its new price after three years. As prices don't fall as steeply with age, there's less of a saving to be made by opting for the oldest cars available on BuyaCar, which cost from £8,689 or £151 per month. Instead, you could have a 2016 Fiesta ST, with at least a year's manufacturer warranty remaining for £11,990 or from £181 per month with finance. 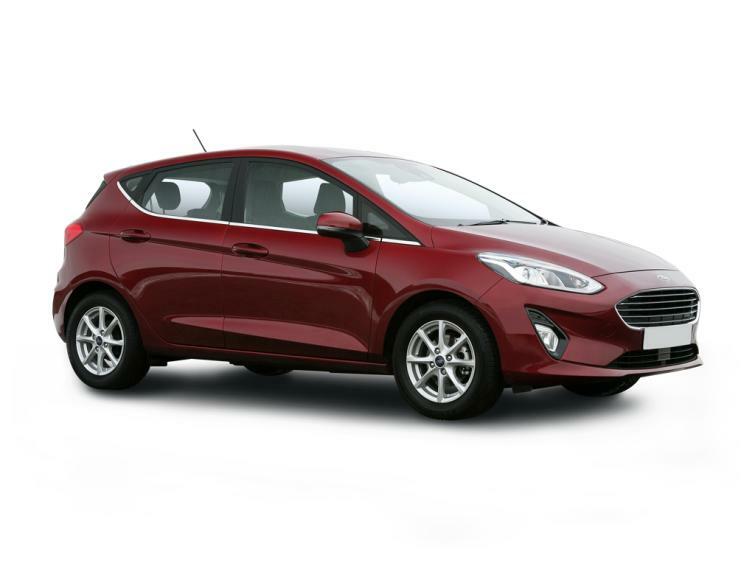 Zetec S is a popular Ford Fiesta trim level, thanks to its sporty alloys and subtle bodykit.